I’ve been trying for a while to get moving image of throwing to use online. It’s quite hard to do. What point of view is best? How can you see inside the pot while throwing unless the camera is strapped to your head? How to start and stop the camera without clogging it with clay? I made a few animations using my Digital SLR Camera on a tripod with the remote control in a ziplock bag. 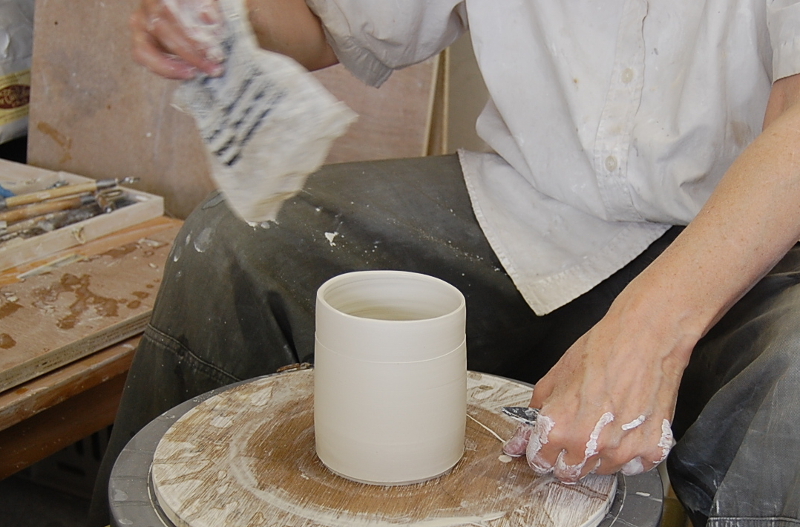 But, for me, the ‘pull up’, the moment when the clay is spun up, higher and thinner, is the magical moment of throwing. They can be shot from the tripod, if you have a helper to press the button (thanks to Stuart and Anne from the Mews). The camera shoots a continuous set of stills, easy to make into an ‘animated gif’ with the open-source software GIMP. Whether you get the animation when you read this blog entry depends on your device: if you are having trouble it’s on my website here (in Aug 2016). Later, here). Waterproof cameras for sports, like the Welsh Olfi (I know!) are an option too – I could throw pots in a helmet, surely. Investigating the technology it’s clear social media’s really driven by video: or rather, youtube is replacing telly and magazines for a whole demographic. Craft’s response to video and social media is interesting. 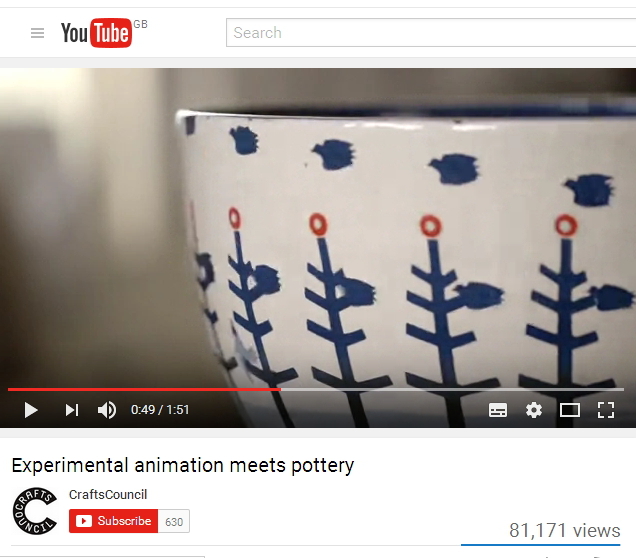 There’s a great film here exploring the links between the technology of animation and ceramic. Properly thought-provoking – although more for animators than makers, I suspect: it’s all about frames-per-second, a film-maker’s joke.